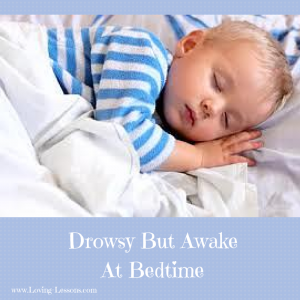 When it comes to sleep coaching your baby, toddler, or preschooler, often you will hear the term “drowsy but awake” at bedtime. While parents may have some idea of what that term means, let’s break it down to avoid any possible confusion. Here’s what you need to know: In general and on average, it will take your child about 15-20 minutes to fall asleep. If your child falls asleep in less than five minutes, chances are they are too drowsy and could be passing out from sheer exhaustion. You might be wondering “What’s the problem with too drowsy?” Watch this video to learn more. Bedtime is the easiest time of day to help teach your little one to go to sleep so that they can stay asleep.